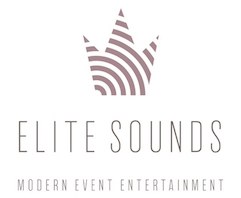 BETH AND ZACH SAW ELITE SOUNDS PERFORM AT A FRIEND’S WEDDING AND THEY REACHED OUT AS SOON AS POSSIBLE TO GET BOOKED. THEY WEREN’T DISAPPOINTED. QUITE THE OPPOSITE. We have tons of couples call in after seeing us at a friend’s event that want us to do theirs. Despite different venues, guests, musical tastes and goals, we still remain the entertainment company with the most five star reviews in the Kansas City, Des Moines and Omaha markets. We pride ourselves on being able to listen to our clients and customize our service to their event. Contact us today to learn more about our services. DJs with at least 5 years of experience with weddings. Event lighting that works with any mood. Photo booths that provide fun and lasting memories. Fill out the form below to book a free consultation so we can speak with you about how we can collaborate to make your event a success.